Return to Freedom and coalition partners AWHPC & Cloud Foundation continue to challenge the planned removal of wild horses on the Wyoming Checkerboard. For the second time in two years, the Bureau of Land Management will round up all the wild horses that roam a controversial area in southwest Wyoming. Known as “the Checkerboard,” it’s an area where wild horses live on federal and private land, but a court decision ruled that the BLM must manage the area’s horses as if on private land. The horses collected in this round up will eventually be put up for adoption. 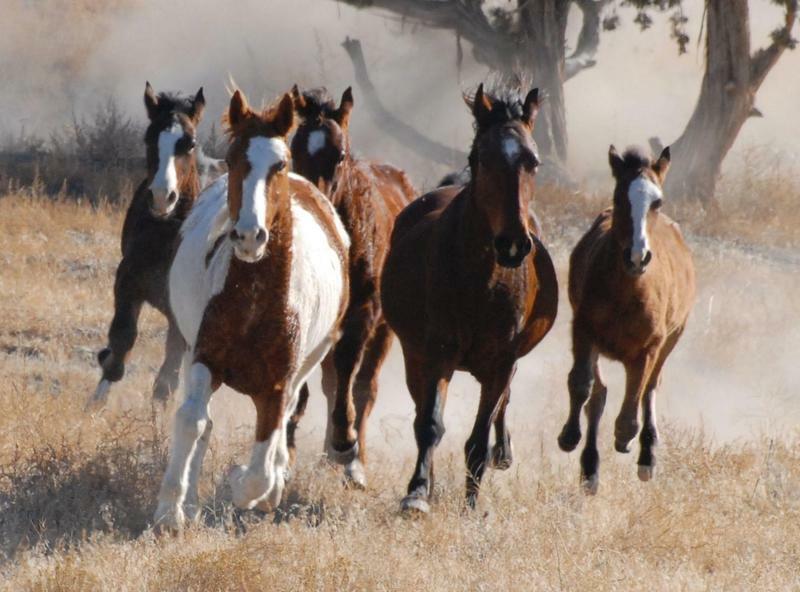 Rock Springs Field Manager Kimberlee Foster says, by court order, they will have to remove about 600 horses in the Great Divide Basin, Adobe Town and Salt Wells herd management areas. She says various interest groups have been arguing over what to do with horses on the Checkerboard for decades and the battle continues to be litigated in court. “It’s unusual to have private land within a herd management area because it’s difficult for the Bureau of Land Management to manage,” Foster says. Foster says the number of horses allowed in the patchwork area has been the same since the 1970s—about 300 total. But by 2010, the area was well over its population limit and the Rock Springs Grazing Association had run out of patience. Foster says 1,200 horses were removed from the Checkerboard in 2014 and that roundup is still being challenged in court. The latest roundup is scheduled to be conducted with helicopters sometime in October following a 30-day public comment period.